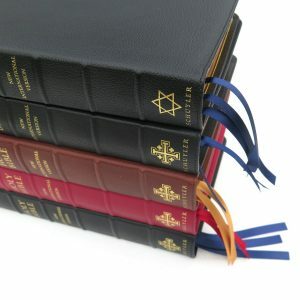 The NIV Quentel is the best all around classic reference NIV on the market. With a clear, bold 11 point Milo font, opaque paper, references, extensive Schuyler maps – this Bible will be a joy to read! The Typesetting design is from Denmark. The printing and binding took place in the the Netherlands. I have purchased the ESV Quentel and now the NIV Quentel. If the ESV was 14 on a scale of 1 to 10, the NIV is a 20 on a scale of 1 to 10. This Bible is absolutely the best bible you will ever own. I collect books and I know quality when I see it. The goatskin leather is perfect. The font size is perfect. I like the red letters, and the red color is not too bright…just different enough from the black to discern the words of Christ. I have all of the goatskin NIV’s. These Bibles will out last me and I plan on passing them down to family members after I go home to be with LORD. How can Quentel possibly improve on these Bibles? I can’t wait to find out. I received my NIV Quentel today. The Bible is beautiful and I am looking forward to many hours of reading. The color is suppose to be purple, but it is not. It is between a burgundy and brown, the only thing purple are the ribbons. I am really disappointed in this. If I had of know it was not really purple I would have gone with a different color. 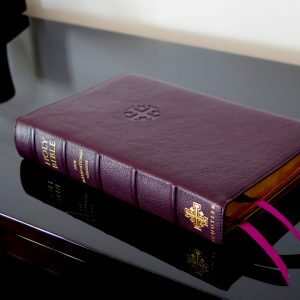 I hope others who really want a purple Bible will take note of this. 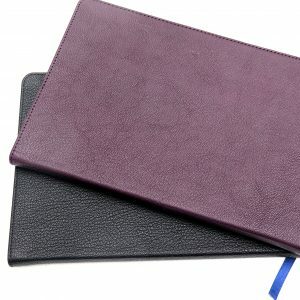 The color of the leather does not make a Bible, I do understand this, but to look at it as it lays next to my chair is comforting to look at and color is very visual appealing and draws the eye to it, so I will have to adjust to the fact it is not PURPLE, and go more for the content of the Bible reading. I do not want to give it a rating as I do not think it fair of me to judge on color, it should be about the Bible itself. I must give a rating so I will say 1 for color and 5 for the Bible, and the rating I am giving is for the Bible itself not the color. 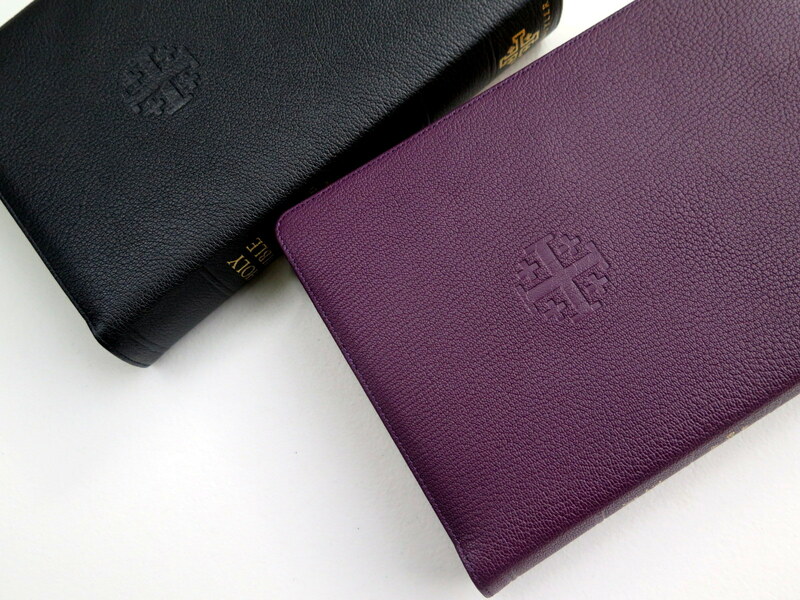 I purchased the purple Quentel and one of the first things I noticed was its beauty – deep purple goatskin cover and with gilded pages. Exquisite. I then noticed the the opacity of the pages and the 11 point font size, which allows for ease of reading. I’m very pleased with my purchase. I came to Christ in the mid-1990’s when Bibles were printed on better paper, resulting in much, much less ghosting/bleed-thru compared to today. 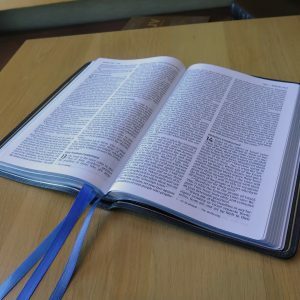 I’m far sighted in my 40’s and honestly haven’t been able to read paper bibles for about ten years because of the poor quality of the printing/paper. Well, NO MORE! This is the first Bible that I can read for substantial lengths of time with ZERO problems. Of course the binding and the cover are works of art. When you hold this Bible you feel like you are holding something precious. It feels sooo good, which is sooo weird to say. But the paper and the awesome font choice are what set it apart for me. I’ve bought Giant Print Bibles that are less useful compared to this 11 pt font choice on more opaque paper. Now that I have the Schuyler Quentel NIV that I can use I look forward to getting an ESV when it is in stock. The cost is honestly worth it. No regrets. Na-da. Zero. Zilch. I look forward to buying one again.